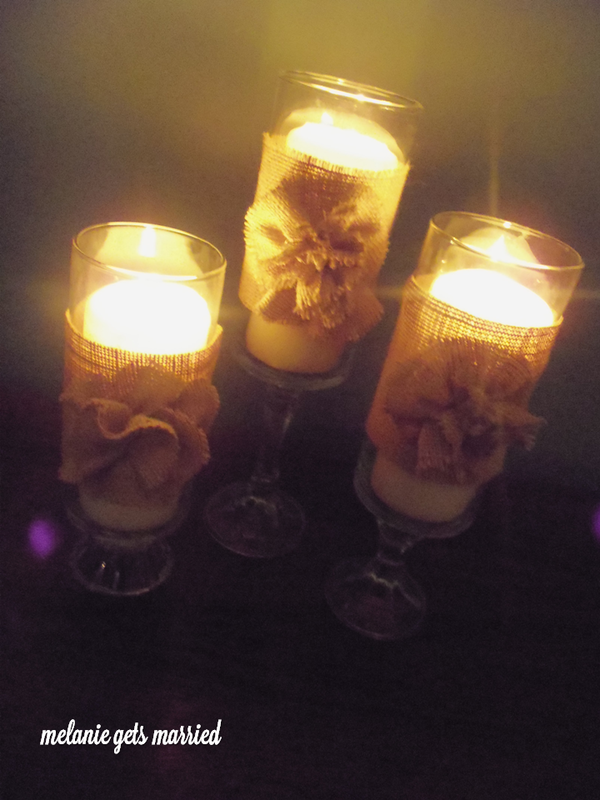 I currently have 36 homemade hurricane vases boxed up in the basement after using them for our wedding centerpieces (see here), so I decided to find some way to use a few around the house. 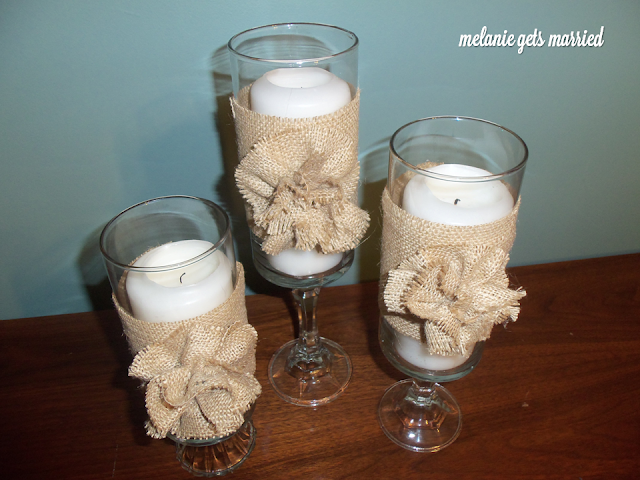 I had some leftover burlap laying around and have been wanting to use it for a while, so I came up with these Burlap Rosette Hurricane Vases. 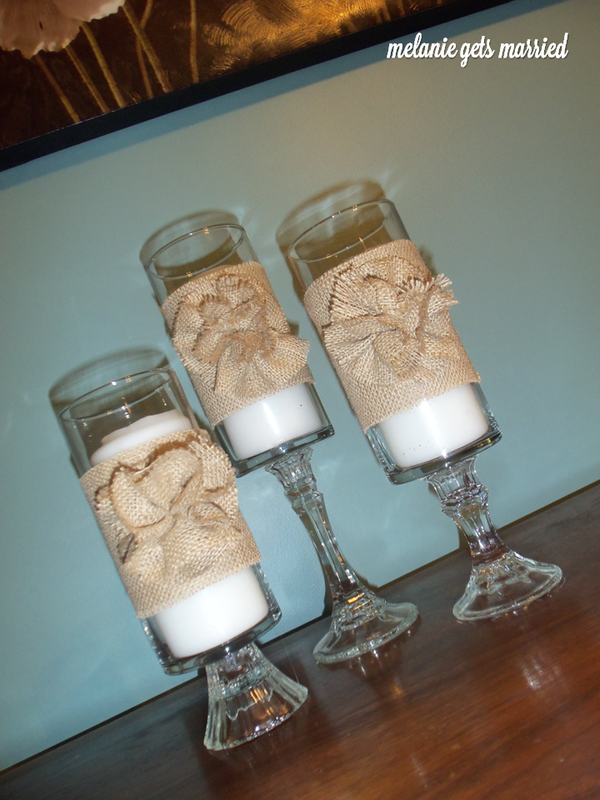 They were very simple to make and look great in our guest bedroom! 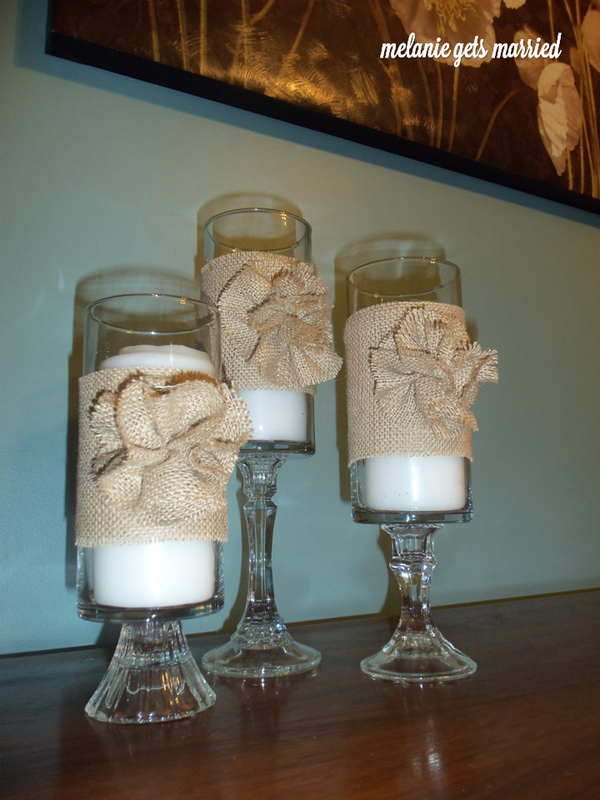 vases, burlap, hot glue gun, scissors. 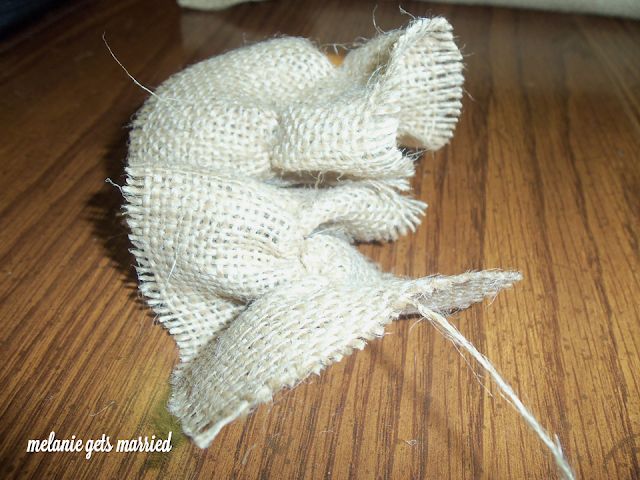 I started by making the burlap rosettes. I cut strips of burlap 14 inches long and 3 inches wide, but you can vary your size depending on how large you would like them to be. 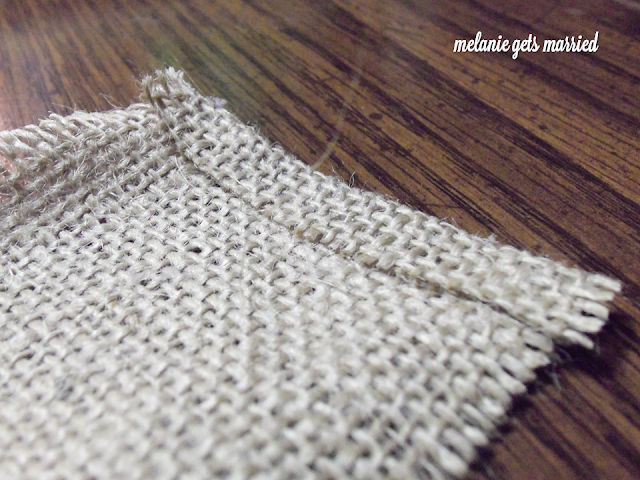 The next step is to fold the burlap on one edge in about a half inch and hot glue it closed. This will keep all the fiber intact when you begin the next step. Once you have it gathered to your liking, you will need to glue the two ends together to form a circle. I tried to do mine as tight as possible. 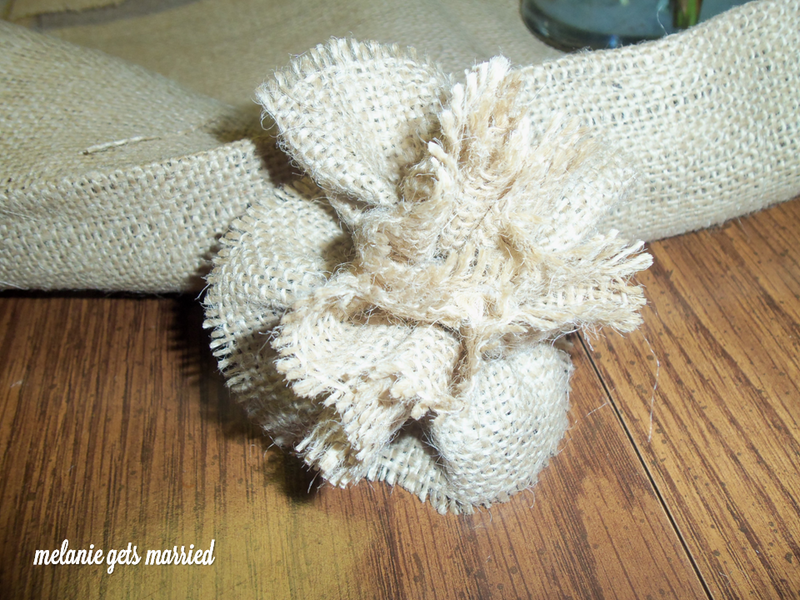 Once it is glued, you have your burlap rosette... YAY! 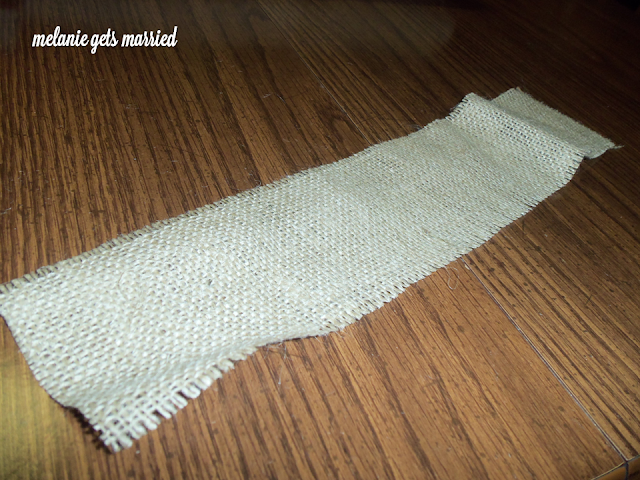 When the rosette was complete, I cut more strips of burlap, this time 4 inches wide. The length you need will depend on the width of your base. 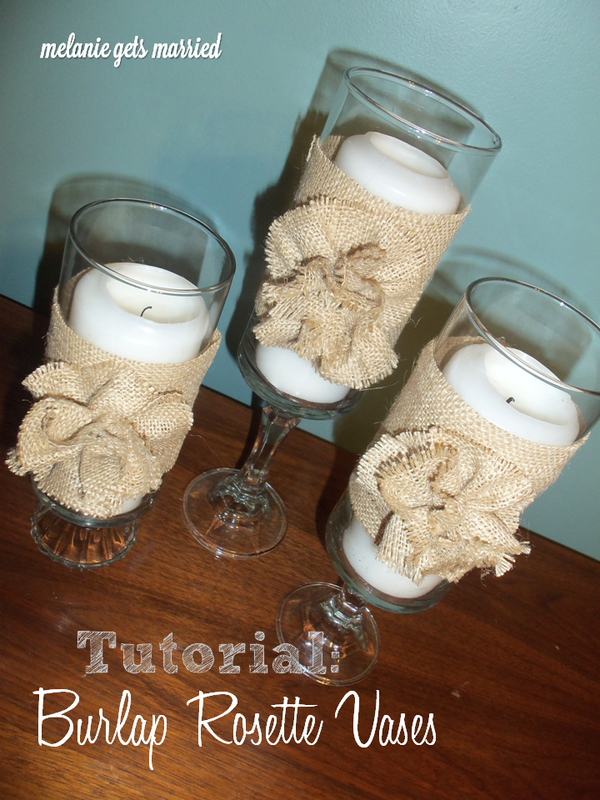 Simply wrap the burlap around your vase and glue the ends together, overlapping a little. ta-da! Does anyone have any ideas on how to use the other 33 hurricane vases? They are too cool to just leave them in boxes. 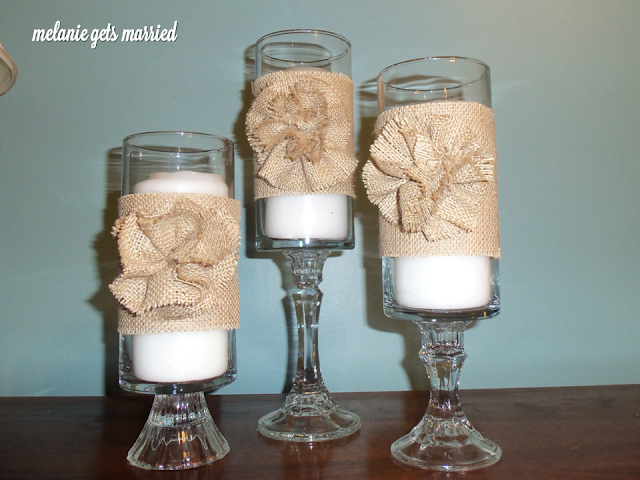 These look so cute and easy! Thanks for teaching me how to make a burlap rosette!